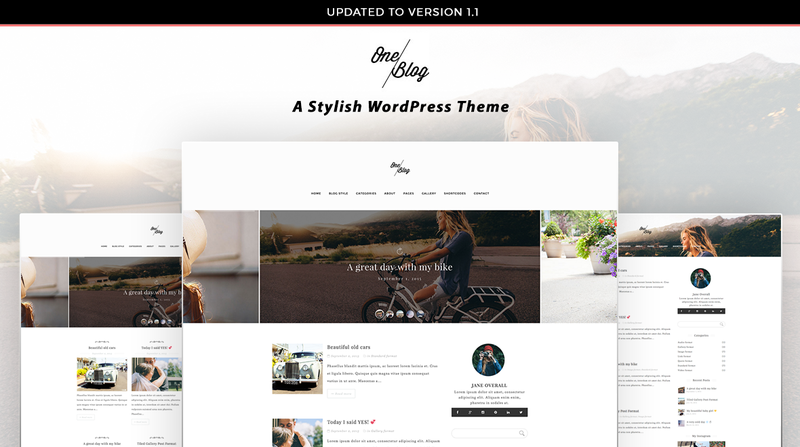 OneBlog is a Stylish & Responsive WordPress theme suitable for any type of blog or gallery website. OneBlog support 7 different post formats (Standard, Image, Gallery, Video, Audio, Link and Quote) and 5 blog styles. OneBlog theme has powerful admin panel that give you full control to modify and customize styling, layouts, colors, fonts, logo, slider, etc. Ready for WordPress 4.7 or newer.